Are you a researcher at an early stage? 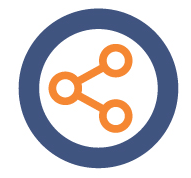 OpenUP Hub is an open, dynamic and collaborative knowledge environment that systematically captures, organizes and categorizes research outcomes, best practices, tools and guidelines. Explore the given material about opening up the review-dissemination-assessment phases of the research lifecycle and practices to support the transition to a more open and gender sensitive research environment. Community - Read, write & connect! OpenUP Hub is the meeting point where new ideas and beliefs are expressed. Are you an Open Science advocate? Join the community and share your ideas! Find the events that interest you. Meet & connect with other community members! Have a question on Open Science? Join the Ask Open Science forum. Gender is one of the key components of Responsible Research and Innovation (RRI) as well as the European Commission’s overall approach to promoting a culture of openly sharing information among researchers, innovative industries and citizens. This is a collection of Blog items, published on nature.com, dedicated to Peer Review. Openness and transparency are core values of science. As a manifestation of those values, a minimum requirement for publication of any scientific results must be the public submission of materials used in generating those results. As reviewers, it is our responsibility to ensure that publications meet certain minimum quality standards.